The cello part for the Overture from Rossini's William Tell has been edited by Ronald Leonard, principal cellist of the Los Angeles Philharmonic from 1975 until 1999. Leonard's bowings, fingerings and other editorial markings have been added throughout the score. William Tell is an opera in four acts by Gioachino Rossini, based on a play by the same name. It was Rossini's last opera, and due to the Overture, ranks among his most famous compositions. The William Tell Overture – in particular its high-energy finale – has been adopted for film, television, and radio. These include The Lone Ranger, A Clockwork Orange, and The Eagle Shooting Heroes. 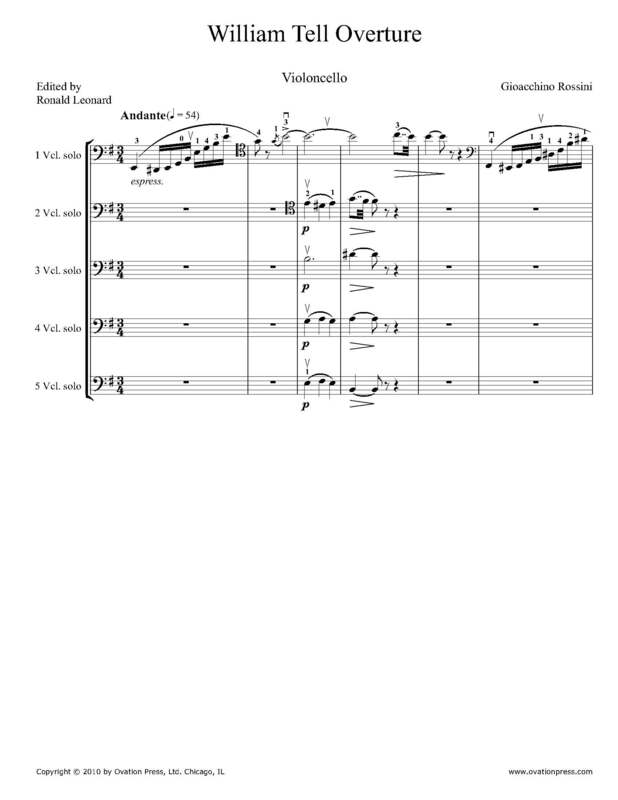 Download and print the score today to gain access to expertly edited Rossini William Tell Overture cello fingerings and bowings from Ronald Leonard!